Hi, all. I don’t know what happened. The Culinary Cousins accidentally took a little hiatus. But we’re back. Hopefully for good! 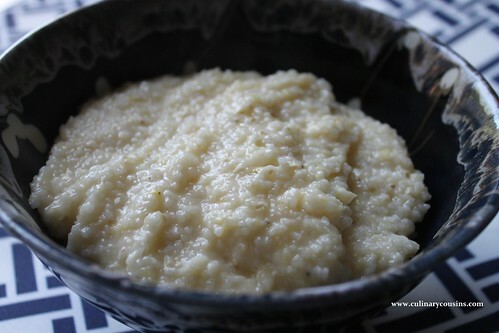 Now, let’s talk grits. They’re such a polarizing food. I’m not one to throw out the word ‘phenomenal’ very often. Especially in regards to food, as I tend to critique new dishes. But these are PHENOMENAL…. I’m sort of a ‘health nut’ and I love to read about the latest food trends, and “diets” (I SO hate that word, but ya know what I mean…). I recently read about the Paleo lifestyle- and while it seems like a great idea- I’m not sure I could every fully commit to it, but if I were overweight or had a serious illness or disease I’d be ALL OVER it. You can read about it here. Another great site to check out is this, and make sure you read It Starts With Food. It’s fascinating. Long ago I learned I have an obsessive personality. Not in a Single White Female way, though, I promise. More like I find something I like and I latch on to it for awhile. I’ve documented some of my recent obsessions, but I really haven’t had one in awhile. I’ve been talking with a lot of people recently about food and health and the latest trends. 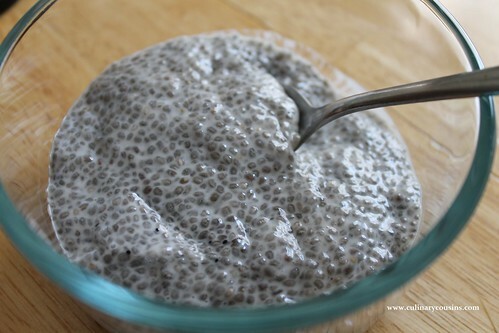 One consistent recommendation in all those conversations is chia seeds. It’s the hot thing of the moment in the health food world. You know you’re reading this post because of the title. Red Velvet — that moist, decadent, chocolate cake concoction. Waffles — crispy, crunchy, airy goodness. Red velvet + Waffles = pure genius. As of right now, I don’t follow a strict gluten-free lifestyle. But I’m beginning to wonder if I should…. Gluten. Oh gluten. This was going to be my year. The year I FINALLY successfully gave something up for Lent. After hearing a whole slew of bad press about this peculiar protein, I decided to make that my target. I was going to give up gluten for forty days. Welp, here we are, the week before Easter and I can officially say I epically failed. Epically. Like 4 days into it. I’ve eaten more glutenous foods since Ash Wednesday (start of Lent) than I’ve eaten in the past 6 months. No joke. WHY does that always happen???? That is why diets don’t work. When you are fixated on cutting something out, you eat it more often and in greater quantity- or maybe that’s just me, and my lack of dietary will power.